This is how big giants change their market strategies when new players disrupt the market. Microsoft has confirmed that by the middle of this year, they will be launching low priced tablets costing around Rs 10,000, especially for the price sensitive Indian market. Hardware giants like HP and Dell will most probably make the devices for Microsoft, along with smaller players such as Karbonn and Lava. It is also being speculated that for those devices which costs less $250, Microsoft will slash it’s licensing fee drastically. As per reports, Microsoft will now only charge $15 for Windows 8.1 licensing fee, lowered from $50 which is a discount of 70% on each unit. Since arrival of Satya Nadella, one cannot help but notice aggressive pricing strategy from Microsoft. Just couple of days back they had announced Free bundled Windows 8.1 option as well. Currently, Microsoft has just 2.1% market share of tablets, globally, as their offerings are more or less targeted towards elite users with their price range of Rs 30,000 to Rs 60,000. Windows based tablets sold just 2 million units in 2013, compared to 121 million on Android powered tablets and 70 million iPads by Apple. Microsoft has certainly learnt its lessons this time, as for the Indian market, they are keen to launch low priced, affordable tablets, which actually meets the expectation and demand of the market. Earlier we had done a deep analysis as to why Microsoft wants to enter the tablet market in India, mentioning the possible reasons for its interest in this hardware niche. During the end of 2012, when Microsoft had launched Window RT tablet, we had shared that the price of this tablet is not justified, and last year, we had shown how Microsoft’s Surface RT tablet with $900 million worth of unsold inventory was one of the biggest technological failures of 2013. If Microsoft wants to make it really big in the tablets market, then they will need to create an entire eco-system wherein smartphones, tablets and laptops co-exist to give a greater push for technology. Developers, programmers and application creators can then seek out the exact mileage which Windows operating system can provide. 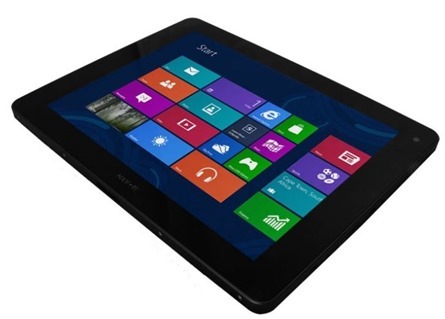 This recent decision of Microsoft to sell low priced tablets, is the right decision in the direction. Do you believe that Microsoft will be able to capture some market share with this latest offerings? Or it will dilute it’s branding in tablets? Do share your views by commenting right here! Apple Offers 2-week Trial Run On iPhones; Are They Getting Desperate? Surface RT wasn’t a “technological failure”, it was a commercial failure. Sad that you so called “tech bloggers” don’t know the difference.